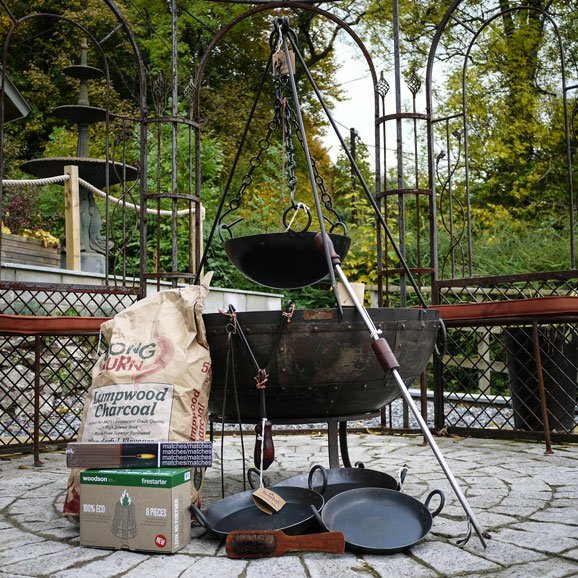 This special bundle includes the most popular size of Kadai Firepit (80cm) allowing you to cook for 10+ people, along with a low stand and plenty of accessories to make sure you get the most of you new firepit by exploring cooking in a variety of ways. 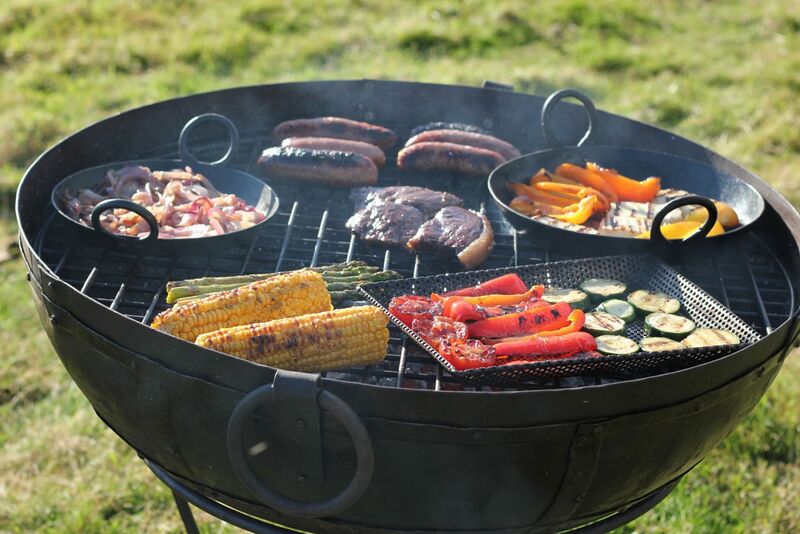 Category: Kadai Fire Bowls & Pits. Tag: Summer. Our Kadais are made using the same traditional methods as the original iron Kadai by riveting plates together to form a perfect bowl. However, these Kadais are made from recycled oil drums which not only recycles a waste product but is lighter and more manoeuvrable than the originals. 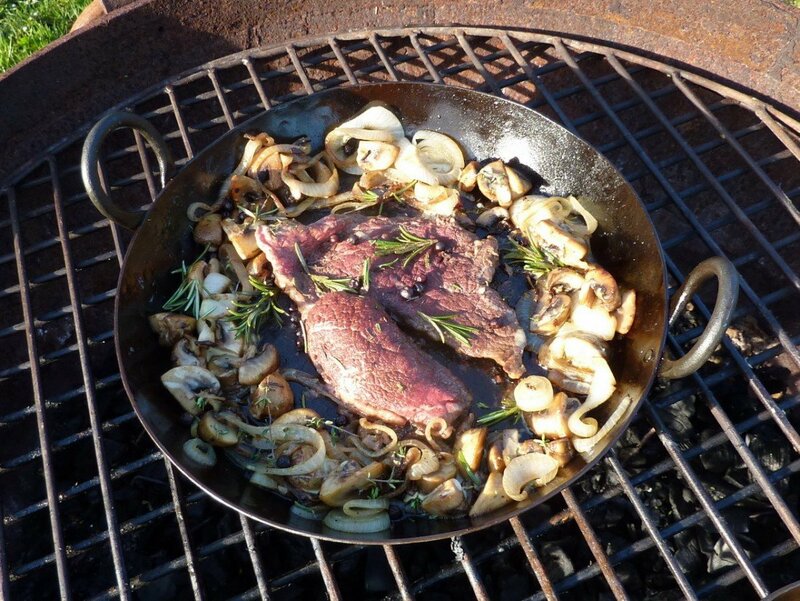 Attractive drop handles allow the Kadai to be easily moved, even when in use. 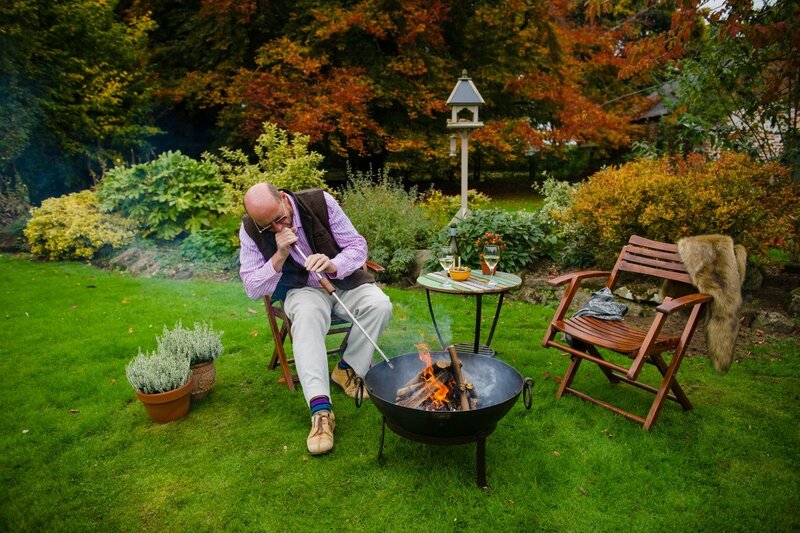 The Kadai firepit includes a low wrought iron stand, holi grill, forged tongs and wire brush and comes complete with a gauze filter. The 80cm Kadai can cook for 10+ people, but don’t worry, if you’re only cooking for a few just use charcoal across one half of the Kadai.